What’s the best way to choose a chiropractor or nutritionist in Arcadia? You’re doing it! 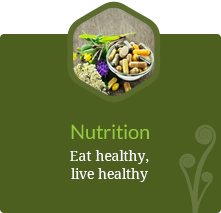 Spend some time here exploring our chiropractic philosophy, our nutritional approach and how the combination can support healing, naturally. 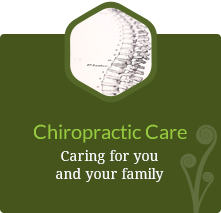 Select a chiropractor who takes a gentle approach and is willing to explain everything in advance. 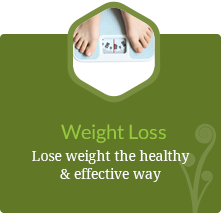 Select a nutritionist who is educated on the latest in nutritional research – who can guide you. Not all chiropractors and nutritionists are the same! our unique approach to today’s chiropractic. No-interest finance plans available! After my first visit, I felt re-assured and hopeful,a marvelous feeling. Amazing office and overall experience. Thanks so much for the pain relief and helping my family. I wasn’t sure what to expect, but it was a very pleasant experience. Great office! All super friendly and helpful. I saw Dr. Miller three times and experienced immediate relief from neck pain and headache. I could tell Julie was passionate about improving my quality of life long term, not just treating me quickly. She took the time to get to know me and my lifestyle before addressing how to go about treatment. After one week of the initial treatment I feel 100 times better than before and am SO excited for the changes/improvements to come. I have felt relief after only two visits and hope to only get better from here on end. 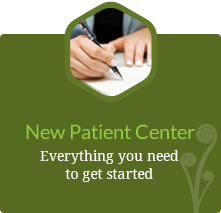 Dr. Miller, his wife and their staff are knowledgeable, friendly and professional. I was impressed with the professional attitude of everyone on the staff. Dr. Miller is very encouraging that I will feel better soon. Dr. Miller’s treatments are working for me. After 6 visits I can walk and sit without holding my head with my hands. I don’t doubt that I will recuperate 100% and that he will be able to get me back on my bicycle eventually. His staff is really wonderful. Knowing Dr. Miller for many years, I was very pleased by his attention to my health concerns and prompt examination and procedures followed. His office staff is very friendly and professional. It was a wonderful experience. I felt that I was cared for and not just another patient. I am optimistic that I will be helped. My car accident changed my life. I want it restored fully, and I believe Dr. Miller can help me with my goal. Dr. Miller was very gentle and attentive to my pain and difficult gait. I appreciate the caring approach Annette took with me. Thank you! Very pleased with my experience. Love how everything is explained. This is the best chiropractic office that I have ever seen. Thank you Miller Family and staff for the amazing help. I’m on my way to getting and feeling better, couldn’t do it without you. Very friendly and competent staff. Entire experience excellent. Very nice and resourceful staff and the ambiance was nice! For the first time in years, I’m extremely hopeful that my deteriorating condition will be reversed and I’ll be back to the place I was years ago. Fantastic first visit. Dr. Jevtic was thorough and personable and made me feel comfortable right away. Left feeling hopeful and happy. Excited for my next appointment.